a glimpse of our life: Depend on Protection and Try a FREE Sample! Depend on Protection and Try a FREE Sample! This post is sponsored by Depends for the #DropYourPants for #Underwareness campaign. Until about a year ago, I was typically the one who did the shopping for my Grandad, so his Depend packages were in my shopping cart. He tried other brands, but Depend was the one that he requested by name. As an Occupational Therapist, I've seen many people who deal with issues that aren't always visible to others, including bladder leakage. With a little help from Depend, such a condition can be managed, freeing you to participate fully in activities without worrying at least, about that problem. Depend provides a variety of discreet products that help people regain their freedom and get their lives back. Over 65 million Americans experience bladder leakage. To help support them and bring the condition and Depend Underwear out of hiding, Depend has created a new social movement and charitable cause called Underwareness. To help break down the stigma, they are offering free samples. They really want you to get your free samples! Over the next three years Depend will donate $1, up to $3 million, to charities that advance the research, education and awareness of bladder leakage for every pant drop, photo and video shared using #Underwareness and #DropYourPants; and every personal video made about what Underwareness means to you that is uploaded to YouTube and tagged #Underwareness and #DropYourPants. 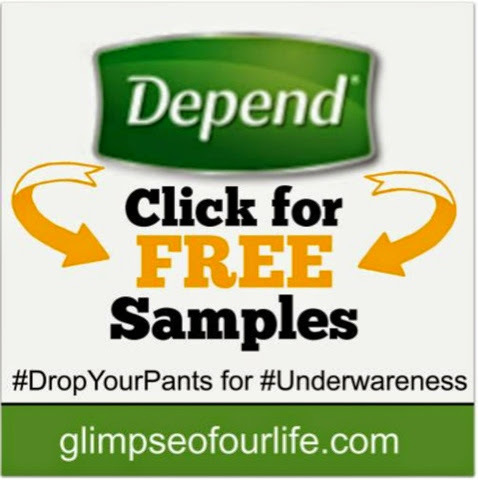 Be sure you claim your free samples today by visiting the Depend landing page and clicking on the "Get a Sample" button located at the top right-hand side of the screen. Then, select which sample you would like to receive and wait for them to arrive. 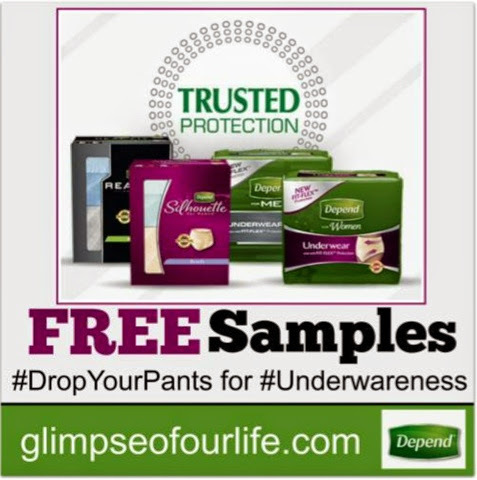 Thank you to Depend for sponsoring today’s post about the #dropyourpants for #underwareness movement. This is disclosed per FTC guidelines. It was a great idea for Depend to do a campaign like this. I definitely believed the misconceptions. It's just crazy that this has such a stigma attached to it, when about 25% of Americans deal with it!